Super Records. A name long associated with the highest echelon of racers and machines. After several decades they are back, but do they live up to their legacy and why were they chosen for this project? I will start out by saying there is nothing wrong with Sram or Shimano if they work for you the way you want. Campagnolo is traditionally a little lighter but thats no reason to deal with shifting you are not comfortable with. So why Campy? 1. I like crit style racing where you are braking and accelerating all the time. For me dedicated brake levers and shift levers make more sense. 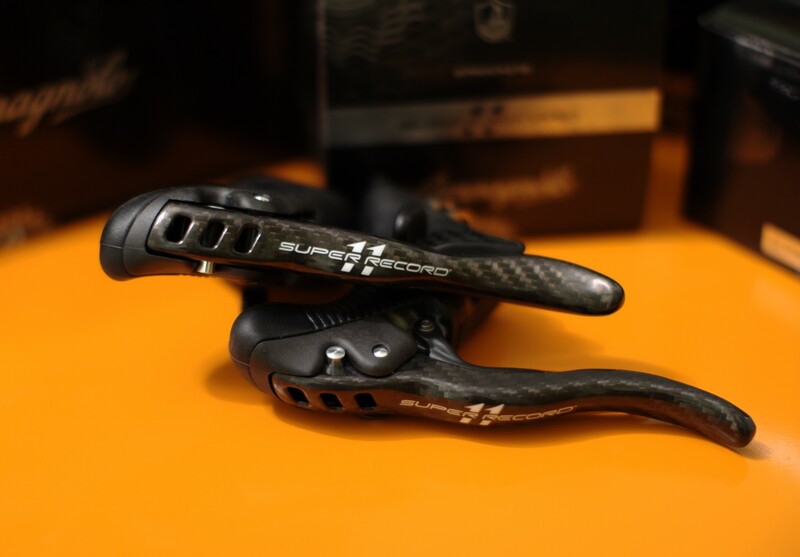 I have been riding on both Shimano STI shifters and Campagnolo shifters since around 1995. After all this time I still manage to pull the brake from time to time on accident while shifting on the Shimano style shifters. For this reason I lean towards Campagnolo. 2. Campagnolo for the most part are all re-buildable. I like to keep my bike tuned very tight and enjoy the ability to replace a simple and cheap part and once again enjoy the crispness of brand new parts. 5. Cost. Believe it or not Campagnolo can come out cheaper than the equivalent Shimano or Sram counter-part. With all that said there are some cons. The 11s system takes a special chain that's not only $100 dollars but also requires a 200 dollar chain tool. The shifting is a little trickier to get set up also. The largest issue in my opinion though is the bottom bracket. The Ultra-Torque system requires very tight tolerances. Most of the time the shell can be faced and made to work, but this can be a huge con if the customer has a sloppy frame. 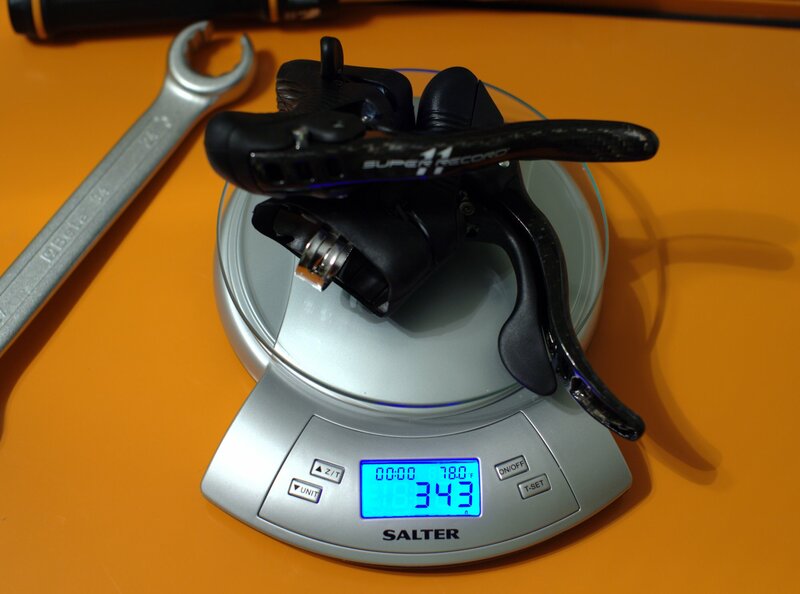 All said and done the Super Record shifters came in just 3 grams over weight. Not a huge savings over Record, but for the rider that wants it all. Worth noting is you can run a mix of Record/Super Record parts and save a couple hundred dollars.